If you want to wish upon a star, tonight's your night! 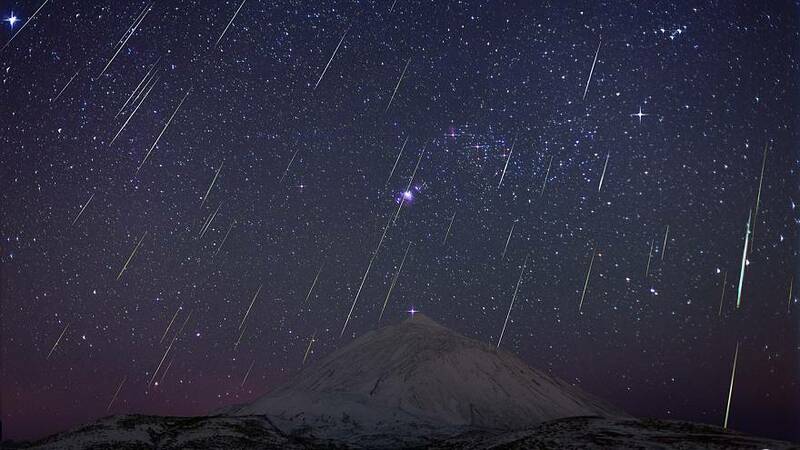 An annual shower of meteors is expected to light up the sky on Thursday with up to 120 shooting stars every hour. The shower, or Geminids, occurs every year when Earth passes through a massive trail of debris from an object called 3200 Phaeton. According to NASA, scientists do not wholly agree on the nature of the object and think it to be either a near-Earth asteroid or an extinct comet. Every December dust and grit shed by Phaeton burn up as they run into Earth's atmosphere causing a "flurry of shooting stars," NASA explained. "The Geminids are considered one of the best and most reliable meteor showers of the year, with shooting stars that are commonly bright with long persisting trains," the UK's Met Office said in a statement. This year, the phenomenon started on December 4 but the peak is expected on Thursday and Friday. To best enjoy the show NASA recommends that people find a very dark spot and give their eyes 30 minutes to adjust to the dark. It also says that people in suburbs or the countryside are likely to spot more meteors than stargazers in cities because of light pollution. According to meteorologists at Accuweather, due to its high activity the meteor shower can be viewed anytime after sunset with the best viewing time in Europe expected to be just after midnight. Unfortunately, cloudy conditions will obscure viewing across much of Europe. Those living across parts of the UK, northern France, Belgium, Netherlands, western Germany, Portugal and western Spain will have the best viewing conditions. The weather company also urges people to bundle up in several layers as temperatures are expected to fall below freezing. For those who'd rather eschew the cold, the Teide Observatory in Spain will be doing a live broadcast available here with images captured from High Energy Observatory HESS located in Namibia.